"THE HEIGHTS: GORGEOUS VIEW LOT: Sit on your front porch sipping a glass of wine and enjoy your breathtaking view of the Fraser River and Mount Baker! 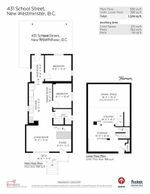 Although smaller in size this 2 bedroom home offers the perfect alternative to a condo or town home. 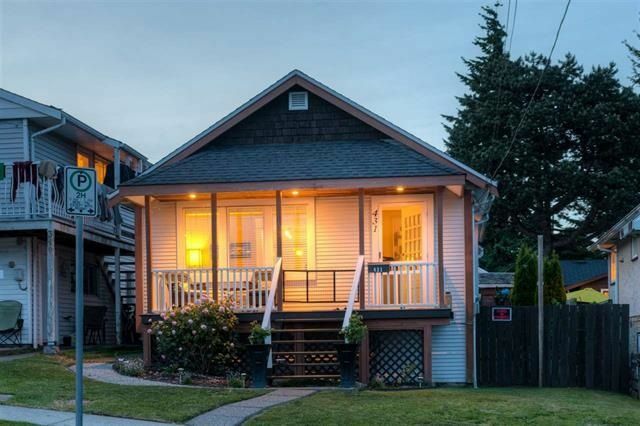 Sitting high above the street, this cute home offers covered front and back decks which are perfect for entertaining, double glazed windows, 1/2 basement with laundry and outside access door. The 33 X 112 (3709sq/ft) lot with back lane access and parking pad offers an opportunity to build your dream home and take in the fantastic view! Take advantage of McBride Elementary School and playground located directly across the street or a short stroll to Royal Colombian Hospital, shopping, and the new Brewery District!